EBOS are delighted to announce the details of its March production at Pinewood Theatre. Rehearsals will be on Mondays and Thursdays at Pinewood. Based on the 2008 film starring Burt Reynolds, Derek Jacobi, Imelda Staunton and Samantha Bond, this play tells the story of fading Hollywood action hero Jefferson Steele who, keen to boost his flagging career, arrives in England to play King Lear in Stratford -- only to find that this is not the birthplace of the Bard, but a sleepy Suffolk village. And instead of Kenneth Branagh and Dame Judi Dench, the cast are, quite literally, a bunch of amateurs trying to save their theatre from developers. Jefferson's monstrous ego, vanity and insecurity are tested to the limit by the enthusiastic am-dram thespians. As acting worlds collide, and Jefferson's career implodes, he discovers some truths about himself - along with his inner Lear! Most of the action takes place in the Stratford Players' converted barn theatre which also doubles as their rehearsal space (sound familiar?). Pinewood Theatre will therefore be an additional "character" in the play for a truly immersive experience for the audience. As we follow the actors rehearsing for their potentially "final" performance the theatre will evolve from bare rehearsal room into Lear's world. JEFFERSON STEELE (M playing age 50+) - A fading Hollywood star/action hero who is arrogant, insecure, brash, gauche, demanding, vulnerable and ultimately aware of his own absurdity. DOROTHY NETTLE (F playing age 35-50) - Director of the Stratford Players and the moving force behind keeping the theatre alive. Her sweet and accommodating manner conceals her inner steel. JESSICA STEELE (F playing age 18-25) - Jefferson's daughter, who has been neglected by her Hollywood star father and now wants to make him pay for it. NIGEL DEWBURY (M playing age 50+) - Solicitor and leading light of the Stratford Players. Pompous, stuck-up and self-regarding, he believes he is the star of the show, and should play all the leading roles. He also fancies his romantic chances with Dorothy. MARY PLUNKETT (F playing age 40-60) - Owner of the Rectory bed and breakfast. Jolly, homely, generous and an unashamedly adoring Jefferson Steele fan -- although somewhat confused about which roles he played in his films, and how keen he is on her. DENIS DOBBINS (M playing age 30+) - Handyman and village Mr. Fixit. Avuncular though slightly dull, Denis is star-struck by Jefferson and fancies heading up his entourage of one. LAUREN BELL (F playing age 30-40) - Thirty-something marketing executive former physiotherapist and the sponsor's wife. Passionate about the arts and smarter than her husband allows her to be, she's treated as a bimbo because of her looks. Playing ages are a guide only, what is more important is the characters fit together well. Clearly Jefferson and Jessica must be believable as father and daughter and should both be able to carry off an American accent. In the film Dorothy has a teenage daughter however this is not referenced in the play so she can be younger. Please come along to the read-through, whether you are interested in auditioning or helping with the production backstage (we will need an assistant stage manager). If you would like more information, please email the Director, James, at jameslole@gmail.com. Too young, too old, too street or too sweet? To the 46 year old man who's always dreamed of playing Annie then THIS IS YOUR CHANCE! We are looking for performers to take to the Pinewood stage and perform songs from musical theatres greatest shows like no one else has done before in MUSICALS MISCAST! Musicals Miscast is a chance to take some of musical theatres best known songs and re-work them; that could be something as simple as a male singing a female's song or it may mean taking a well-known showtune and putting it into a different setting completely, changing the context of the number. Inspired by the likes of Backwards Broadway and Forbidden Broadway, I am looking for a small company of 6-8 people - ideally half men and half Women to take to the Pinewood stage. Auditions will be a pretty relaxed process. I would like all those auditioning to bring a song of their choice - I would ask that you pick something that is fairly well known to the average theatre going audience, nothing too obscure and that you really think about the song you pick, this is an opportunity to perform songs you'd never get to do either in a show or in another cabaret - and for you to think about how to take that song and MISCAST it. EBOS is delighted to receive an excellent review from our NODA representatives, Susan Boobyer-Pickles and Terry Hunt. Following the auditions, we are please to announce the cast for Singin' in the Rain. Congratulations to everyone who auditioned. We look forward to seeing you all at the first rehearsal on Tuesday 12th June. Click here for cast list. EBOS presents the previews and auditions for their November 2018 show, Singin' in the Rain! Announcing our show line-up for 2018-19! EBOS are delighted to announce their full 2018-2019 show line up for South Hill Park, which will follow on from The Wizard of Oz this November. We hope you are as excited as we are for the next 2 years! Looking for Munchkins to join us 7-11th August. DO YOU LIKE TO SING & DANCE? We are looking for Munchkins between the ages of 4 - 15 of all shapes and sizes to join our talented cast of the MGM Classic musical The Wizard of Oz to be performed at The Wilde Theatre, Bracknell, between 1st and 5th November 2017. S Musical Theatre will be holding a Summer School (Munchkin Camp) between 7th and 11th August (9.45am - 4pm every day), which will include dancing, singing and acting workshops within a rehearsal environment, and run by our talented production team and licensed chaperones. Our Munchkins will perform a small showcase at the end of Friday's camp with our Dorothy and Glinda. All Munchkins taking part in the summer school will then join Dorothy and her friends in Oz when we take to the stage in November. Places are limited and will be given out on a first come, first serve basis, so for more information on how to secure your place, please email summerschool@ebos.org.uk for details and an application form. Thank you to everyone that auditioned; as always the standard was incredibly high, and some difficult decision had to be made! We are all looking forward to working with you. Full schedule to be published by the end of the month. EBOS are delighted to announce the preview and audition dates for their next production at South Hill Park, RSC's production of The Wizard of Oz. Please note that the above dates are for ADULTS only. The Summer School and auditions for children will be held separately and details will be announced in due course. We are aware there is a long period of time between the start of previews and auditions, which is due to EBOS' commitment to perform at the NODA Conference on 3 - 4 June. Whilst you do not have to attend every workshop, we do advise you attend at least one of each, and it is compulsory for everyone to attend one dance workshop before auditions. Playing Age open to all who think they are appropriate. Adult Chorus to play Ozarians, Winkies, Crows, Trees and Jitterbugs amongst more. Children Chorus to play Munchkins and Flying Monkeys (older children). EBOS are delighted to present their Summer Cabaret for 2017, entitled 'Night and Day'. Bridget Biggar takes the helm as Musical Director with Anton Gwilt on Piano. Join us at our Pinewood Theatre, 22nd -24th June at 7.30pm. The evening will feature a host of EBOS regulars plus some wonderful new faces, the cast will be performing a wide variety of songs from popular musicals. I Love You, You're Perfect, Now Change is a musical comedy with book and lyrics by Joe DiPietro and music by Jimmy Roberts. It is the second-longest running Off Broadway musical. The musical was nominated for the Outer Critics Circle Award as Outstanding Off-Broadway musical in 1997. This show is presented in the form of a series of vignettes connected by the central theme of love and relationships. The play's tagline is "Everything you have ever secretly thought about dating, romance, marriage, lovers, husbands, wives and in-laws, but were afraid to admit". With few exceptions, the scenes stand independent of the others, but progress in a fashion designed to suggest an overall arc to relationships throughout the course of one's life. A first date, for example, comes before scenes dealing with marriage, and scenes dealing with marriage come before those dealing with child rearing. Despite the large number of characters, the show is typically done with a comparatively small cast: the original Off-Broadway production uses a cast of four. EBOS is bring this musical to its Pinewood Theatre in September this year. More details will be announced nearer the time, so do please keep checking back here on the website. The time has come around again for the event of the EBOS Social Calendar! The Quiz Night will take place on Friday 10th February from 8pm, and is always a very popular event so BOOK NOW to avoid disappointment! Hosted by the ever brilliant Steve Hall and Simon McCartan, all of the classic rounds will be included, and prizes throughout the night for the Bonus rounds! Advisory maximum of 6 in a team. Following the auditions, we are please to announce the cast for Boogie Nights. The auditions were held at Pinewood on the 4th December and had an impressive turnout. We were very pleased to see some new faces amongst amongst the auditionees! The panel had some difficult decisions to make, but the cast has now been selected. Click on the link below to go to the Boogie Nights page! Well done to all who auditioned and congratulations to those who were successful. We are proud to have the very talented Claudie Blakley as our President. 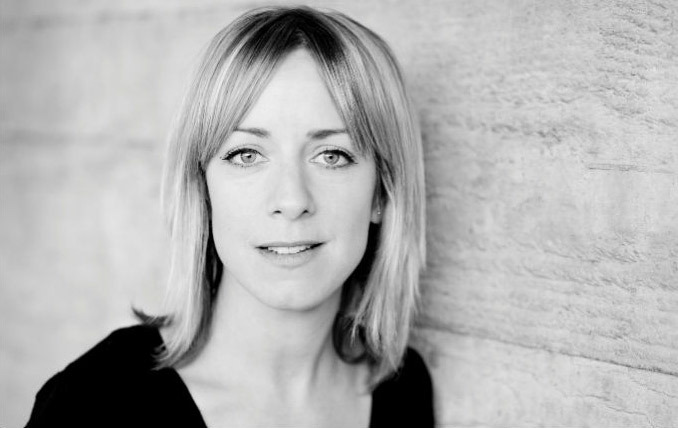 Claudie is a highly regarded screen and stage actress, whom most of us will have seen on the television in Gosford Park and Lark Rise to Candleford, as well as Silent Witness. Claudie is an avid supporter of EBOS and regularly comes to see us perform as and when her busy schedule allows.